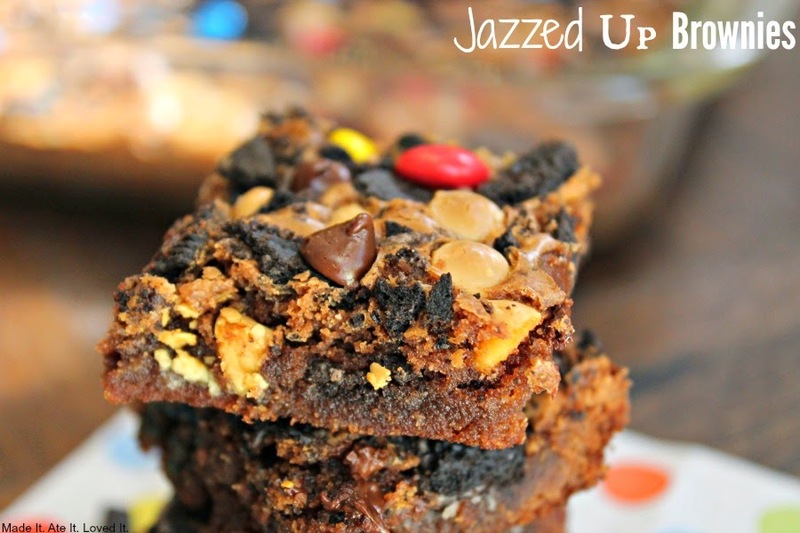 Jazzed Up Brownies - Made It. Ate It. Loved It. 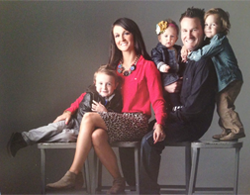 On Monday nights our family picks another family to serve and we go together and drop off a treat or something to them. Sometimes it is anonymous and my boys ring the door bell and run and other times my kids want to say hi to whoever we are giving a treat to. 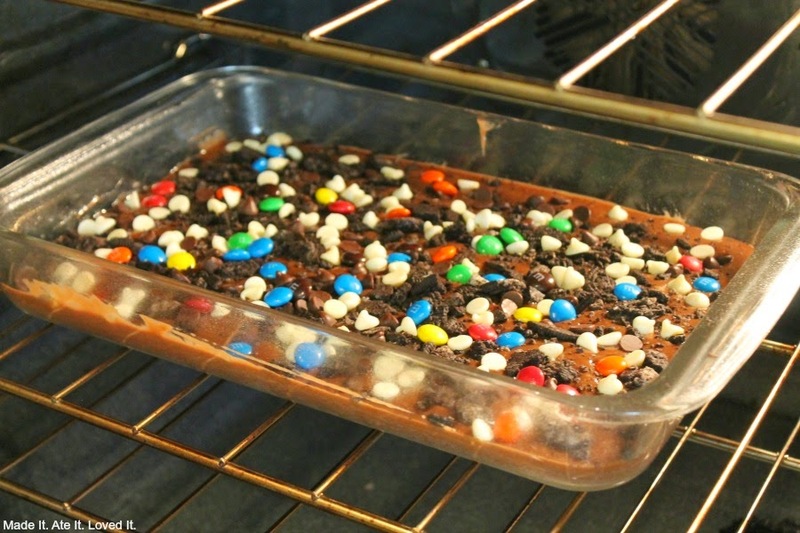 It was one of those days where I wasn’t able to make a homemade treat. 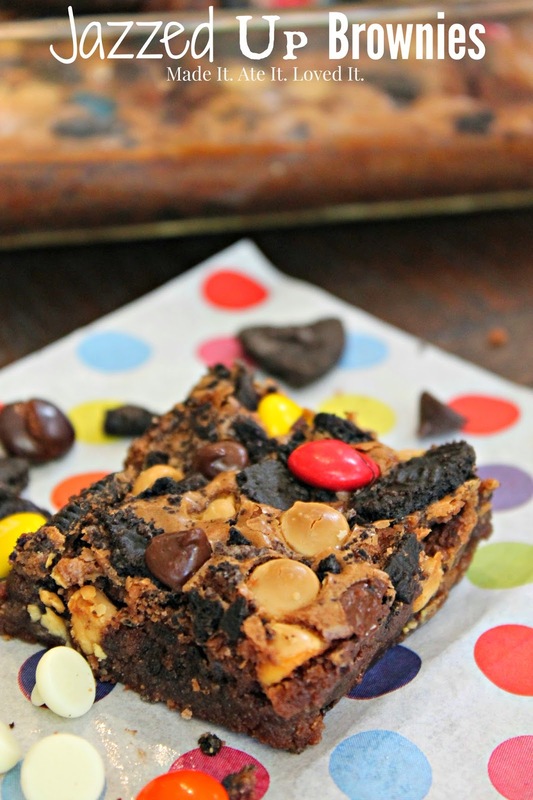 So I jazzed up a boxed brownies and added some fun things and they turned out super yummy and super easy! 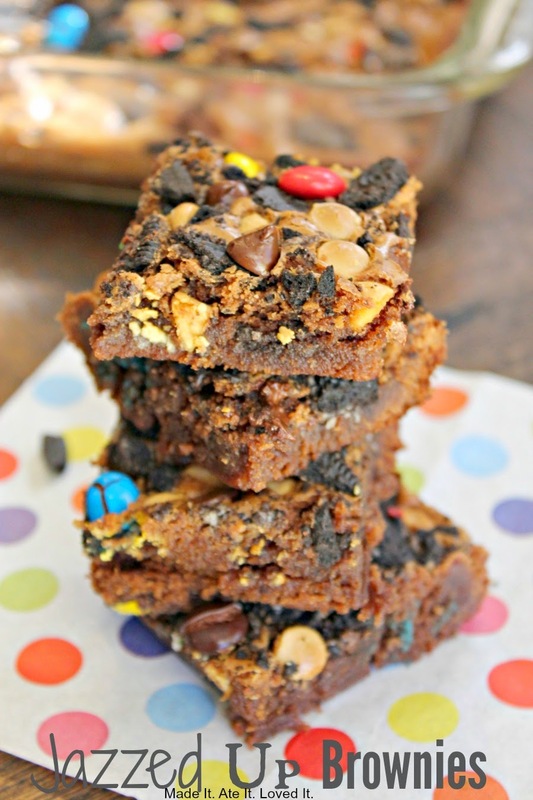 They are good for any occasion and can be made with holiday m&m’s to make them a holiday treat!